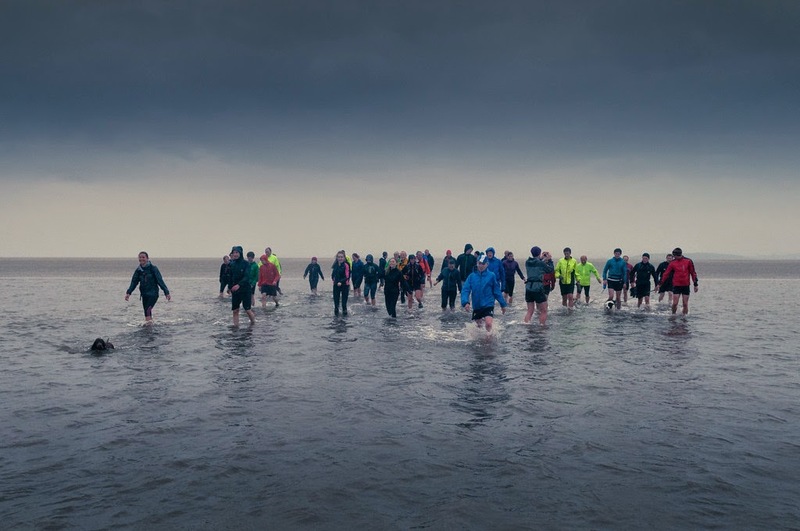 Last Wednesday I did the annual run across Morecambe Bay with my running club Dallam.While we were guided safely across it was quite wet under foot on the fairly direct route between Flookburgh and Red Bank that was chosen because of the River Kent being divided into several channels at present. 'fairly wet underfoot' gets the prize for understatement of the century! It looks good fun I have never seen a photo of the 'run' before, I think it should get front page coverage, well done to all.